“The remarkable transparent pure synthetic sawing lubricoolant. 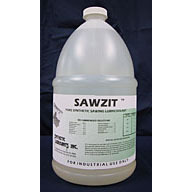 SAWZIT can easily manage your toughest metalworking operations, and it does not contain sulfurs, chlorine, nitrates, mineral oil, or heavy duty salts. SAWZIT is biodegradable and exhibits excellent safety with ease of disposal. Users must comply with local regulations. SAWZIT does not attack paint, exotic metals, bearings, or pumps. SAWZIT cools the work to prevent distortion; thereby increasing accuracy of dimensions. 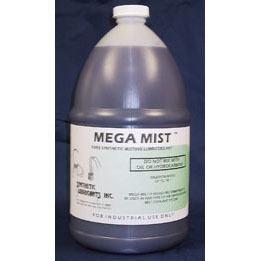 SAWZIT has good anti-weld properties; is stable and odor free, non-smoking or fogging in use, with no residual contamination of the workplace. Please Note: the purchase of a 55-Gallon drum will require special delivery. 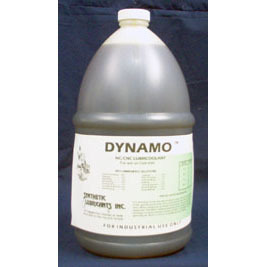 A Detroit Band Saw specialist will call you to finalize shipping arrangements and cost.